You’re a parent and we know what that means: You could probably use a good laugh. Don’t worry, Twitter’s got you covered. 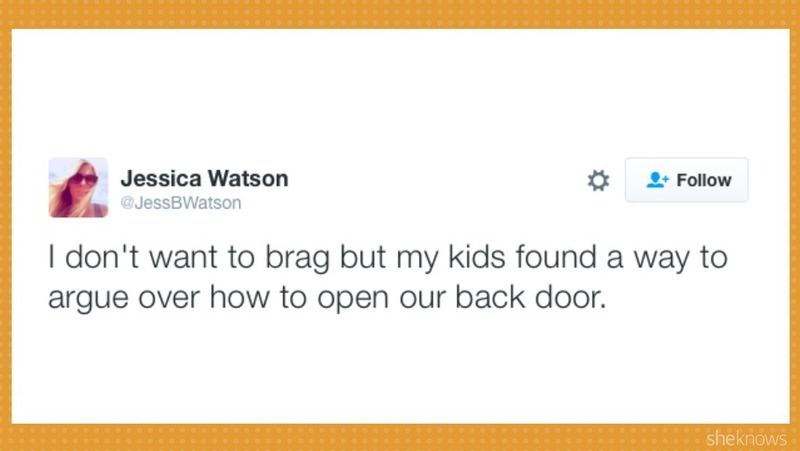 From the insane things kids manage to fight over to accepting the fact that your child is going to eat off the floor at some point, here are the 10 funniest tweets from parents this week. I don't want to brag but my kids found a way to argue over how to open our back door. Before hosting a kids' sleepover, ask your doctor if getting up at 5am and hating kids that aren't your own is right for you. Me: Let's watch a movie! Me: Great! I'll get popcorn. "If it wasn't for all the whining, crying, screaming, and door-slamming, I'd forget we had kids." I want my daughter to be cool at school but I also want to blast Bel Biv Devoe when I drop her off and she claims it can't be both.